When you think of Italian ham, no doubt it’s the thin, crumpled slices of velvety smooth, salty-sweet Prosciutto that come to mind. Yet calling all Italian ham ‘Prosciutto’ is akin to calling all white wine ‘Chardonnay’. To the initiated, Prosciutto is a vast world of taste and texture, with each Italian region putting its own spin on this classic. Prosciutto di Parma is Italy’s best-known variety of cured ham, but many others compete with it: Prosciutto di Carpegna, Tuscan Prosciutto Crudo, and Prosciutto di San Daniele are just a few of the many kinds available. Prosciutto, whose name comes from the Latin word for “deprived of all liquid”, has been made in Italy since the second century BC. Although each kind of Prosciutto claims its own flavor and texture nuances, the curing process is similar in all. Pork thighs are first hung in a breezy and well-ventilated room for a day or longer. Next, the fat and hide are trimmed, then salt is massaged onto the meat once a week for a month. At the end of the month, the hams are washed off and dried (traditionally, in the sunlight, although now they are more often dried indoors in a warm room). The hams are greased with a mixture of salt, lard, pepper, and flour and are aged for months or years, depending on the kind of ham. During this long aging period, hams will lose up to a third of their weight. What can vary greatly between Prosciutto-making regions is the diet pigs are fed. In order to be officially recognized as a Protected Denomination of Origin (PDO) Prosciutto, the ham must follow strict guidelines about what kind of pig the ham is made from and what those pigs are fed. To make Prosciutto di Parma, for example, local pigs are fed whey from locally made cheese. The delicate flavor of Prosciutto is best enjoyed with a dry but not too powerful white wine (like dry Malvasia), so that none of the ham’s flavor is masked. Ideal recipes for Prosciutto are those that allow the ham’s unaltered flavor to shine through; serve it on thick Italian bread with Olive Oil, accompanied by a soft cheese like mozzarella, or alongside fruit like melon or figs. With its sweet flavor and creamy texture, Prosciutto di Parma is Italy’s most popular ham, especially beyond Italy where it’s widely exported. With its roots going back to 100BC, when a salt-cured ham was mentioned in the writings of Cato, Prosciutto has a long and hallowed history here in the Parma province. Considered a savory ham, the Tuscan version of Prosciutto tends to be quite salty and may have notes of strong flavors like pepper, garlic, rosemary, and juniper. Made exclusively with pigs born, bred, fattened and slaughtered in Tuscany and cured with sea salt, pepper, and aromatic herbs. 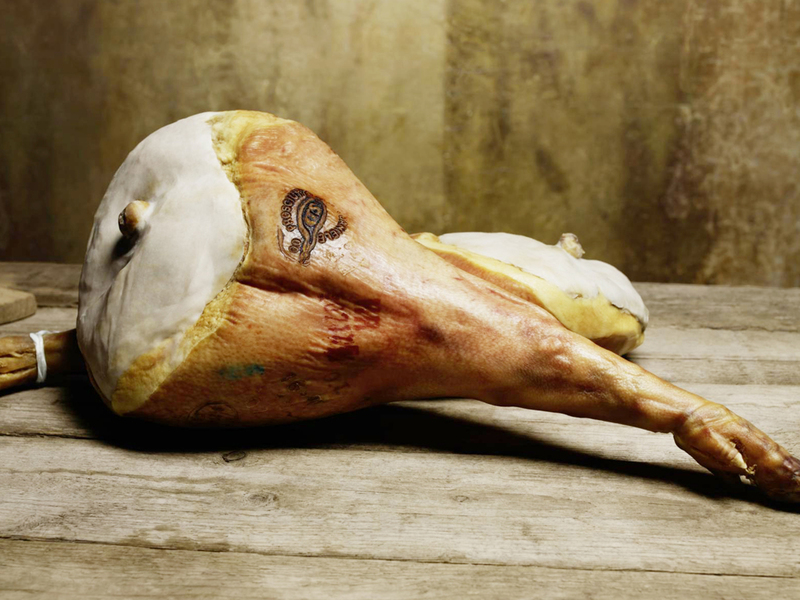 The ham’s flavor is subtly enhanced by the unmistakable fragrances of Tuscany. In Friuli Venezia-Giulia, a region in northeastern Italy, the prized Prosciutto di San Daniele has been made for centuries. 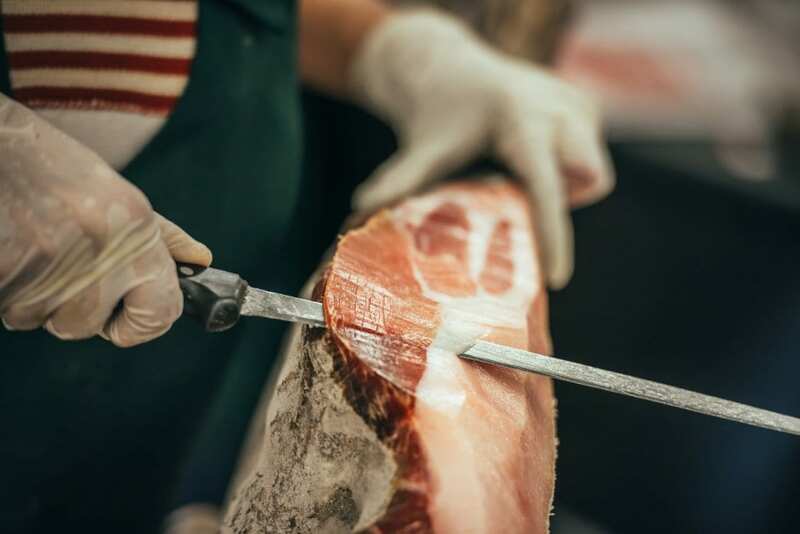 Although the curing process here differs little from other regions’, the Friuli region’s unique climate and geographical conditions – dry air and high altitudes – give Prosciutto di San Daniele an especially creamy texture and sweet flavor. 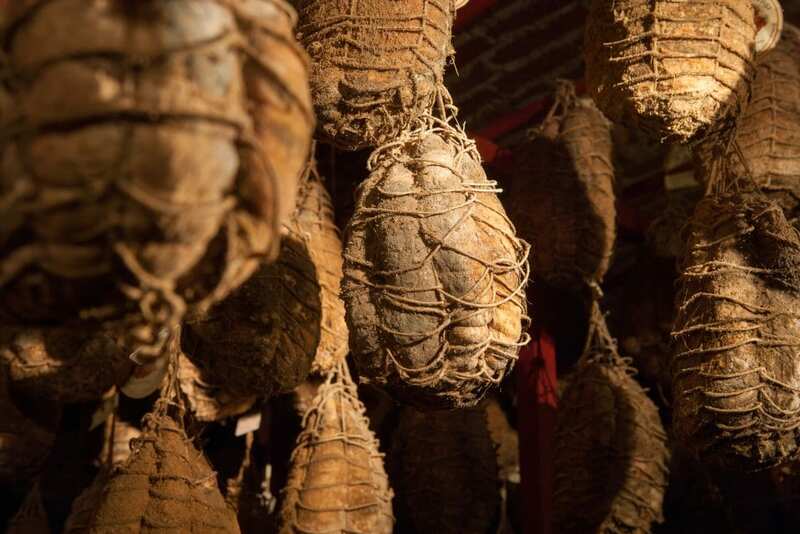 Although considered a Salami, not a ham, the delicious Culatello also has a revered place in Italian cuisine. Made with a boneless section of the muscular rear legs of the pig. 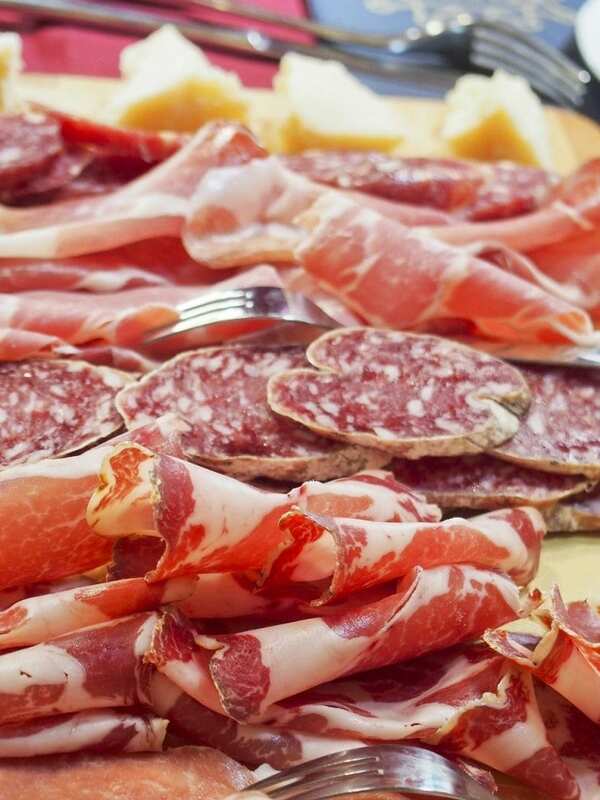 This cured meat is made in the Zibello area of the Parma province. Placed inside a pig bladder and tied with string, then cured and aged for at least 12 months. 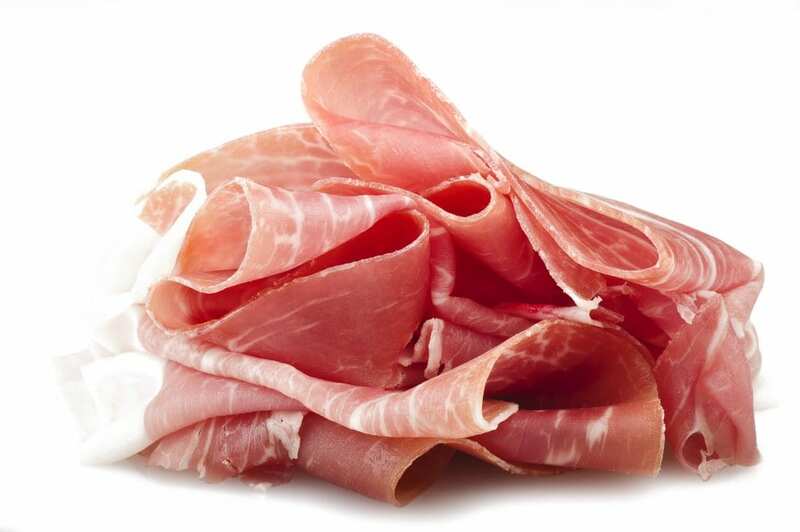 Culatello has a rich, intense flavor and a deep red color, this is Italy’s creme de la creme ham! There used to be a ham that my father bought at the Italian market in cleveland called "spiced ham." Nope, it wasn't capicola, it wasn't really spicey. It was a processed square loaf of ham. Not chipped ham (yuck) -- more depth of flavor. Any idea what it was/is?